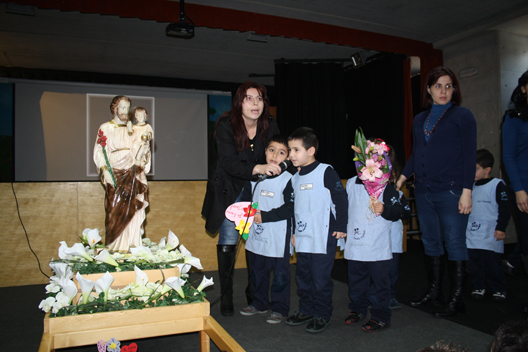 Preschool and Grades 1, 2, and 3 students celebrated Saint Joseph’s Day at school. 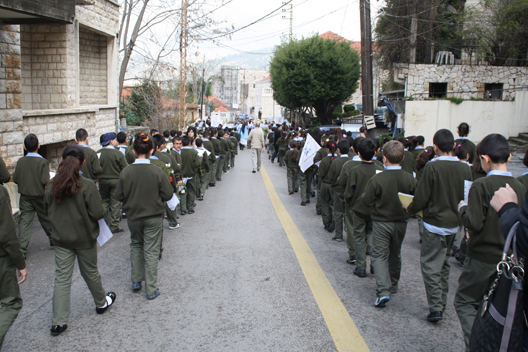 They sang hymns and took part in a small procession around the school. 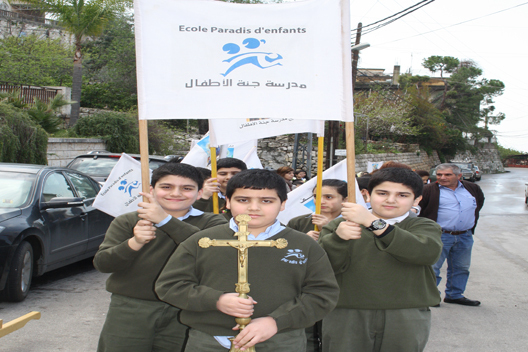 Following this year’s project “On the Road to Heritage”, the Paradis d’Enfants students visited various towns around the country to discover their national heritage and cultural identity. 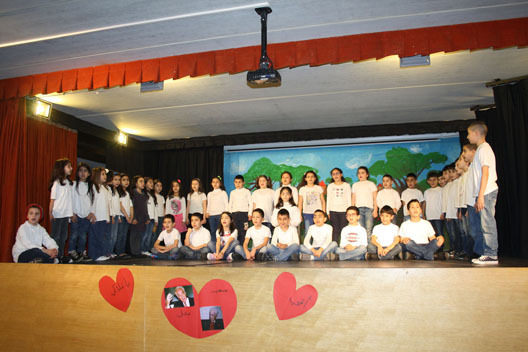 Grade 6 students performed an English play to the Grade 3 students. 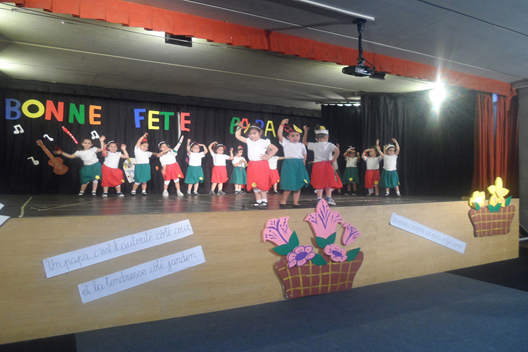 They then celebrated Christmas by dancing and singing together. 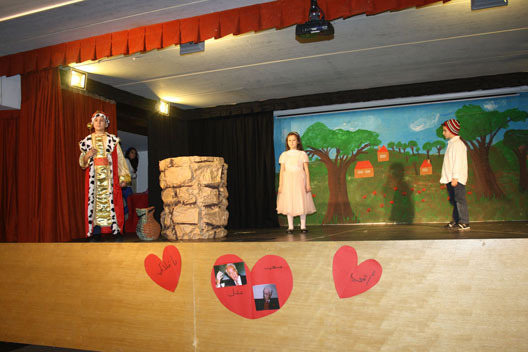 To celebrate Christmas, a day trip was organized to the village of Beit Misk. 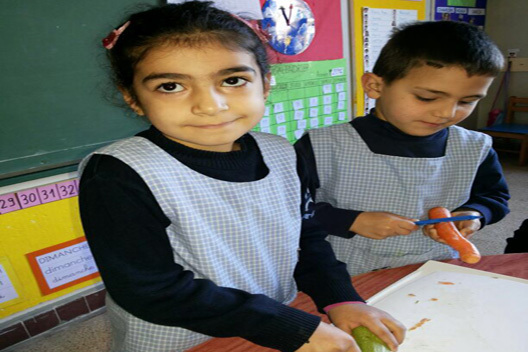 Grade 1 and 2 students participated in many activities: drawing, writing letters, biscuit making. 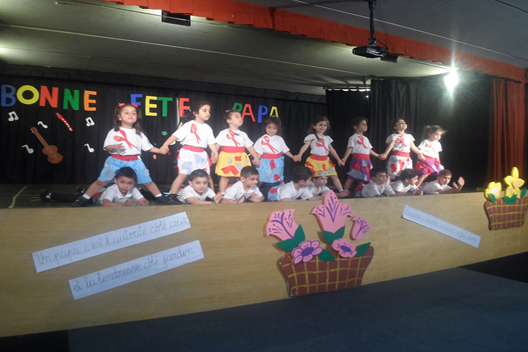 They also visited Santa Claus’ home and participated in a show, and enjoyed dancing and singing together. 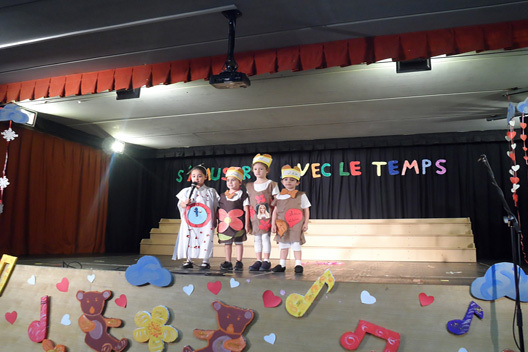 On Saint Barbara’s Day, the students of Paradis d’Enfants wore masks and celebrated the custom together while retelling the story of Saint Barbara. 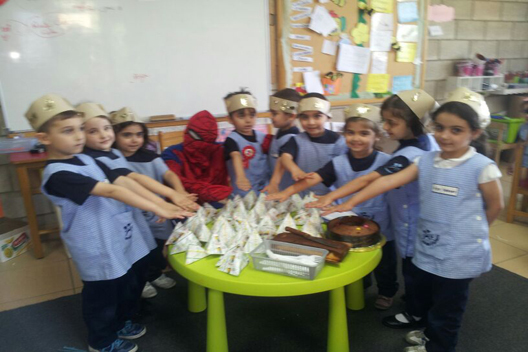 Everyone also enjoyed a boiled wheat meal, a symbol of the feast, prepared by the Grade 1 teachers. 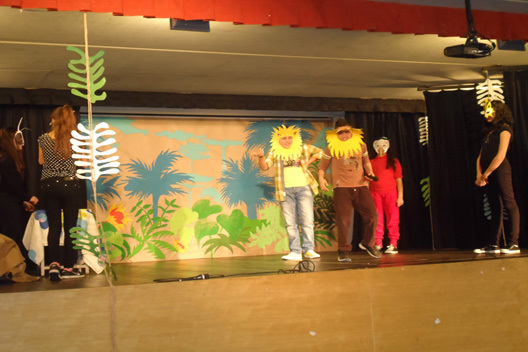 Teachers and students were disguised with beautiful costumes and masks. The years have passed and the time to see you go has come. Dear students, never forget your school, your teachers and especially your friends. 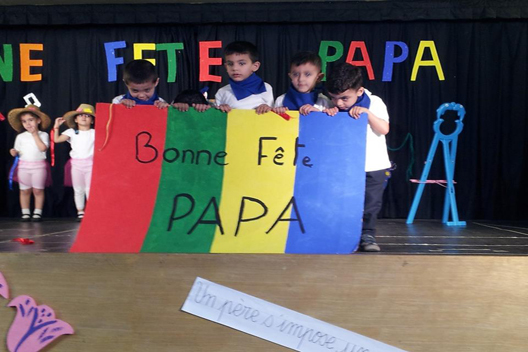 It was my pleasure being among the Paradis d’Enfants family for the last two years, and it is with a pinch in the heart that I would be also leaving. 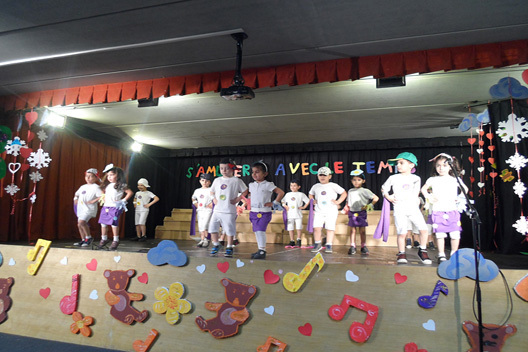 Throughout the past year, as enthusiastic knowledge seekers,we have followed the school’s theme “Connaissance du Monde” or “Knowledge of the World” with passion. 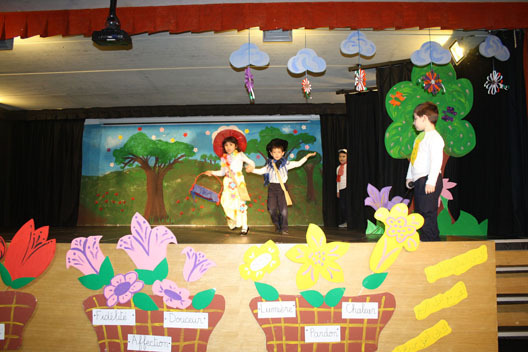 We have learned about the diversity we live in and to respect and accept each other no matter what. Carry this theme with you and make everyone as proud as you made us! As mentioned by Dr. Seuss, “You have brains in your head. You have feet in your shoes. You can steer yourself in any direction you choose”. Wishing you the best of luck for the future as bright leaders in our country. 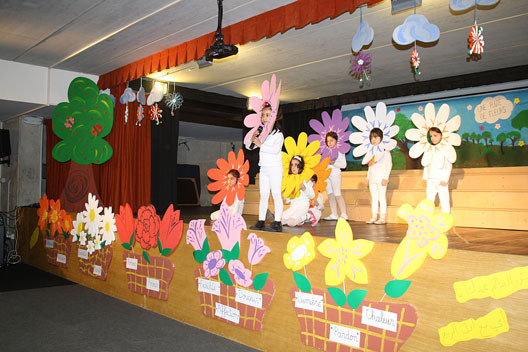 To realize our theme of the year "Global Communication", artistic activities, including theater, are often an effective extension to an interdisciplinary approach whilst mixing the pleasant and the useful. 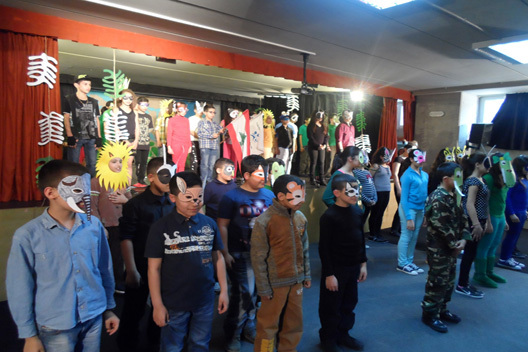 Students of the EB4 class together with the students of EB6, presented "Pocahontas", an Indian legend, a true masterpiece performed at the Athénée Theatre. 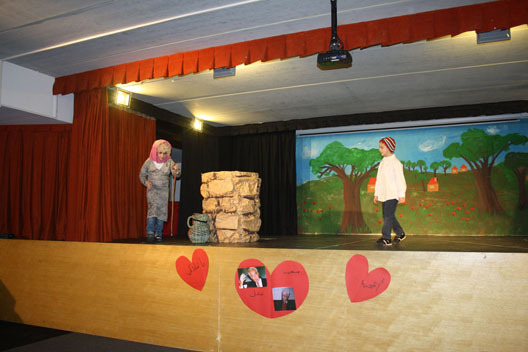 Real actors came on stage to teach us how to respect each other despite differences and how to open up to the world by bringing down all borders. 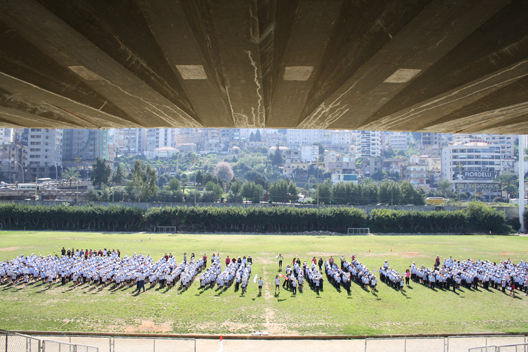 Grade 5 students followed the hiking pathway, which selects the most iconic roads that can be used freely throughout the year. There is nothing like a trip to rediscover the richness of our natural heritage and landscape. So follow Carole ,the teachers and the guides on this sunny day. Finally! Our exhibition is complete. It is the fruit of 4-5 months’ work. Our goal has been reached. 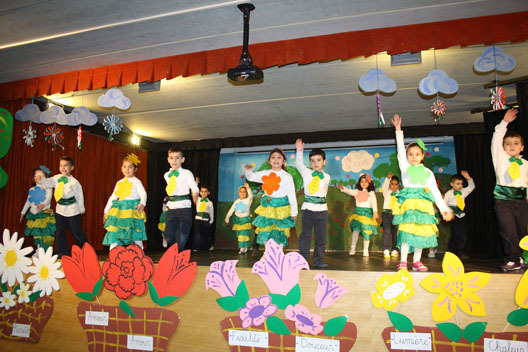 Many thanks to all the teachers. 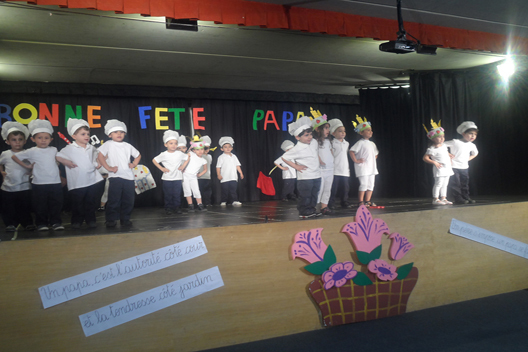 Congratulations to all the children. Good closure of the year. How good it is to travel with a light heart, to explore the world, meet other people, other civilizations and to go around the world. How beneficial it is to avidly visit new cities and sites, speak new languages, and experience new customs and unusual adventures. But how sweet it is to return a heart full of emotion to one’s country, one’s roots, which nothing and no one can match. 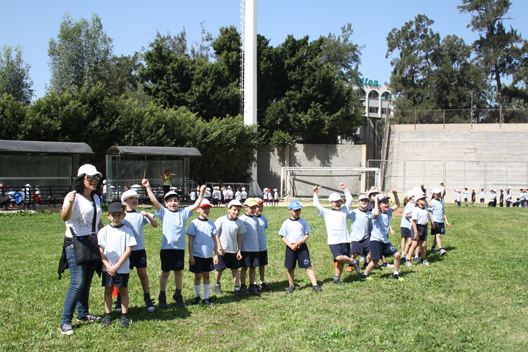 Under the blue sky, the golden sun, the high mountains and the green tapestry of nature, the students of KG1 visited the Faqra Citadel. 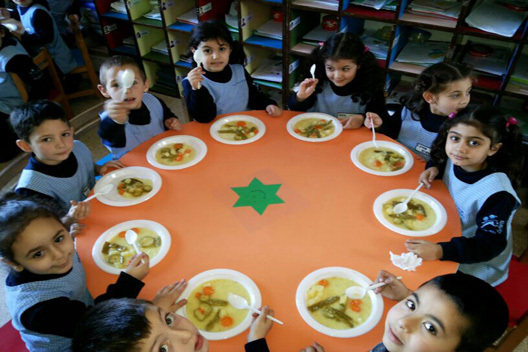 They discovered the beauty of this Lebanese village and ate and played in the midst of nature, being grateful for this wonderful country: “The country of peace”. Students discovered different plant and animal species such as marmots and cedars.This was done by observation on site or through photos. 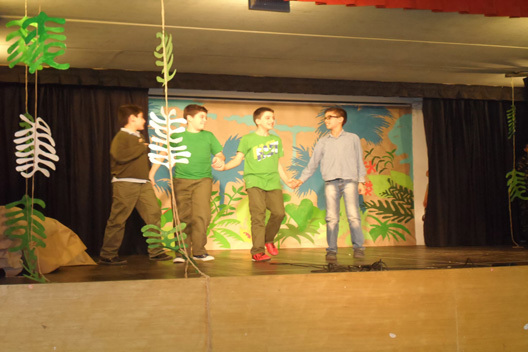 They were made aware of the importance of protecting nature and especially endangered species. 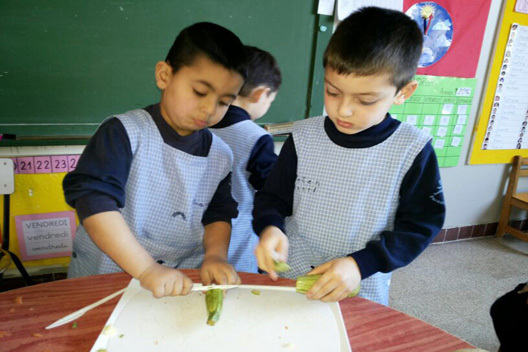 The goal of this activity was to present the foods that are most suitable for the human body. The key to achieving this was to listen to one’s body, to understand its expectations, to let appetite grow before eating, to recognize different smells, tastes and the use of every ingredient. With this method of full conscience, the spirit becomes more alive and the body becomes lighter. What better way to start a new habit. “Eat healthy”. 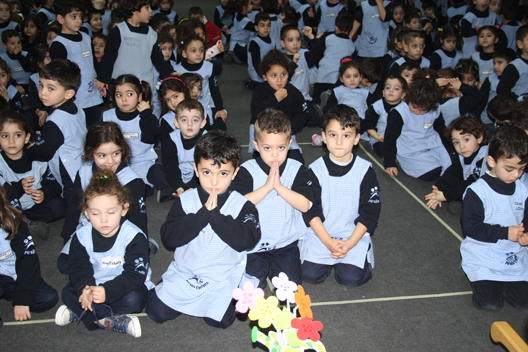 KG1 Students tell us the story of the return of Lebanese students from abroad to their beloved roots. 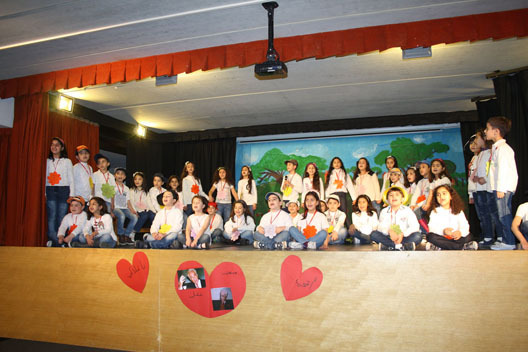 Under the guidance of theater and activities teachers, Grade 3 students built their ideas on stage.The echo of this work reflected a quality education and a very distinguished work. The most beautiful gift is the gift of happiness and the world is more beautiful when we offer our hearts. Love teaches us that Christmas is much more than a day for presents. It is an opportunity to love all those who are dear to us. 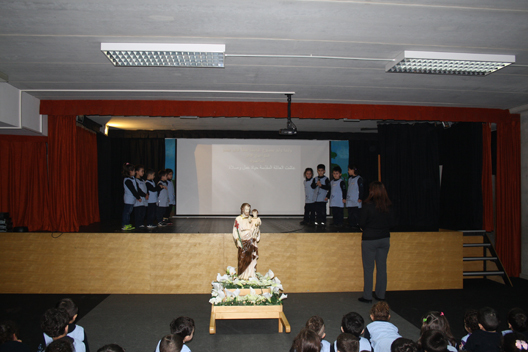 At the end of the year, let us sing our happiness so that the spirit of Christmas can forever live in our heart! Let us live together a moment of prayer and sing Christmas, the most beautiful gift from above. 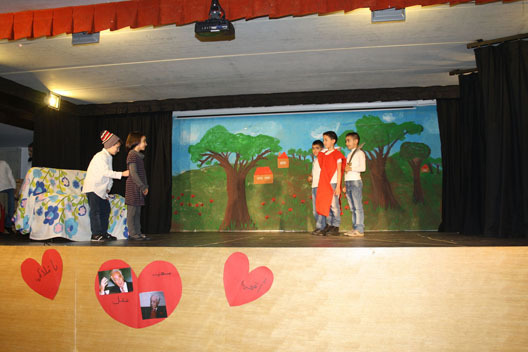 They sang, danced, and performed plays that embody the spirit of Christmas. 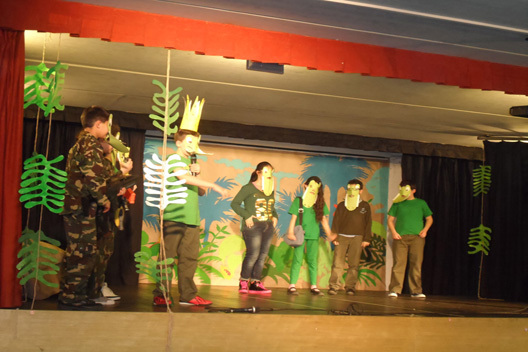 At the end of their performance, they were widely applauded by everyone. 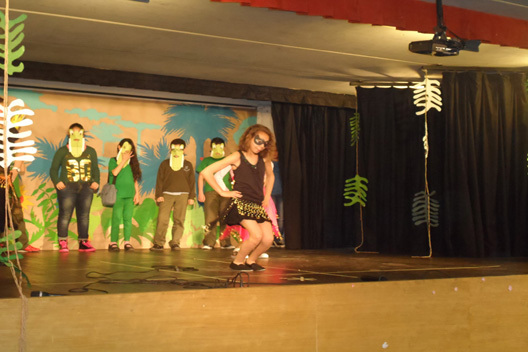 All these activities were realized through various projects and presented on stage the day of Independence Day. 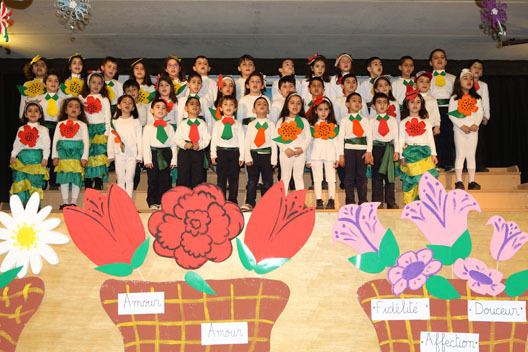 The Lebanese Independence Day was celebrated in Paradis d’Enfants schools on 20 and 21 November 2014. 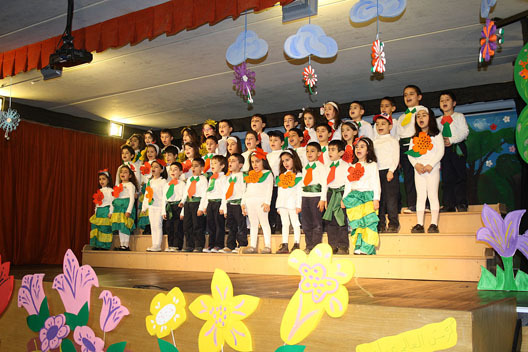 Students participated in various special performances such as short speeches, national songs and a military march. 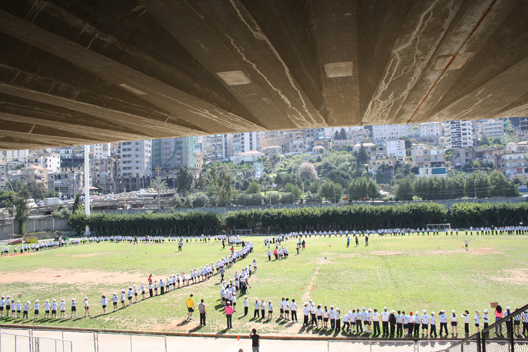 On this occasion, students paid their respect to the Lebanese army and hailed its unparalleled efforts in protecting citizens. 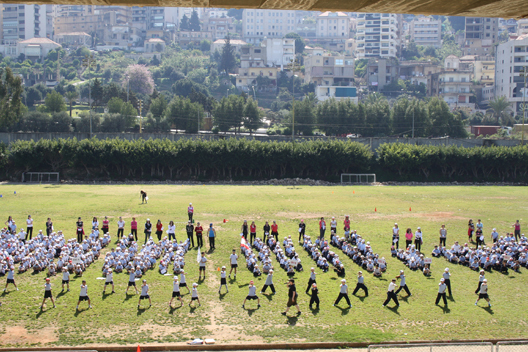 May God bless the Lebanese army! 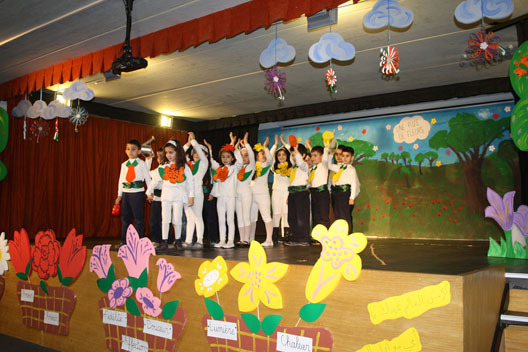 Throughout May and June 2014, Paradis d’Enfants held fun end-of-year educational activities and performances at Ghadir, Ghosta, and Haret Sakher branches. 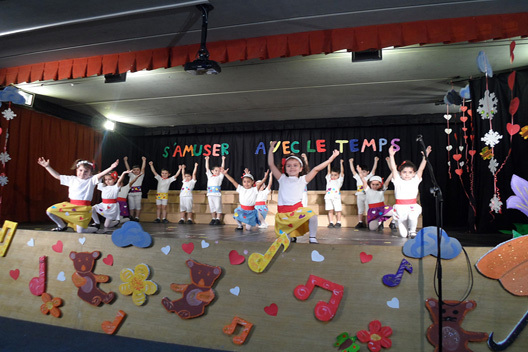 Students and teachers sang and danced in many events re-emphasizing this academic year’s theme, “Objectif Grandir”. 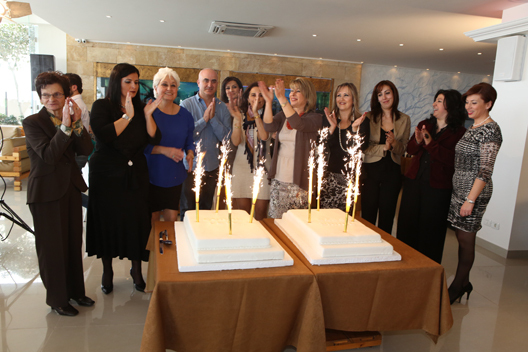 The festivities offered a perfect end to a fruitful academic year. 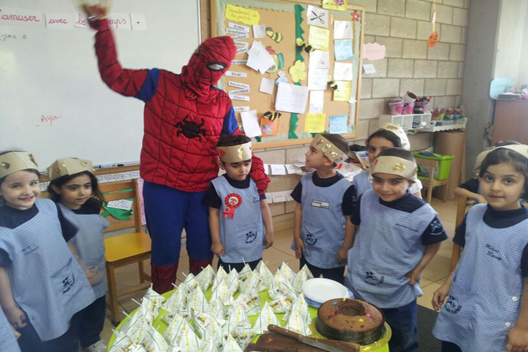 Celebrating one's birthday in the classroom is now a widespread tradition in schools and always highly demanded by children. 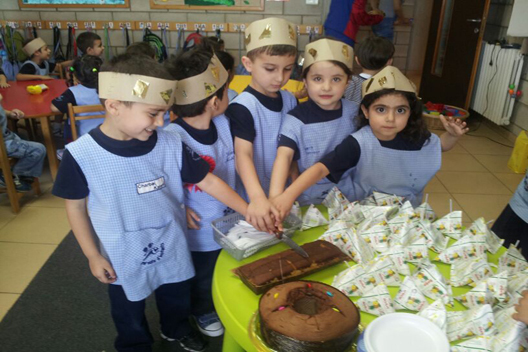 We see an abundance of juices, cakes and decorations appearing in classrooms. For vegetable soup, go to the market: leek dives to the bottom of the water,Carrot runs with its boots, Zurchini moves its head. 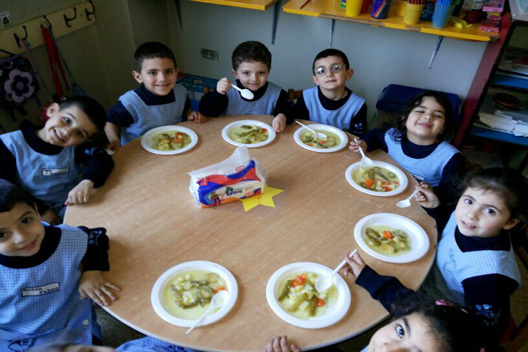 For vegetable soup, we should peel them all. The timekeeper stops his needles for a moment, and invites you to live pleasantly, twelve months of the year. Autumn, winter, spring and summer. 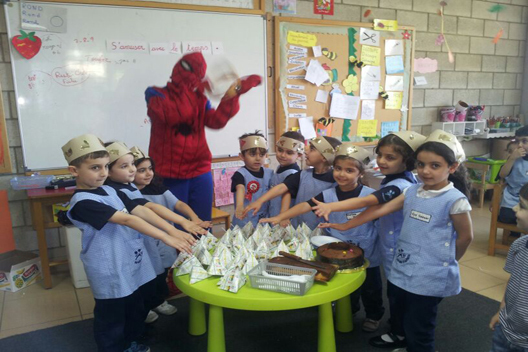 KG1 students celebrate them with joy! 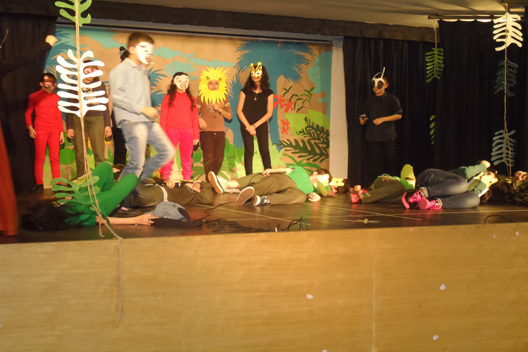 Voting day at Sabana is a fable that depicts animal’s Election Day. Lion, Giraffe, Crocodile, Elephant… everyone wants to become the king of the forest, but who really cares about other animals? 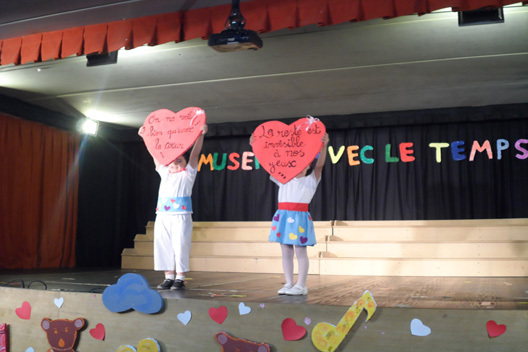 To celebrate Mother’s Day, Paradis d’Enfants Grade 2 students invited their mothers to school and presented a special performance including songs and messages about the importance and the value of a mother! 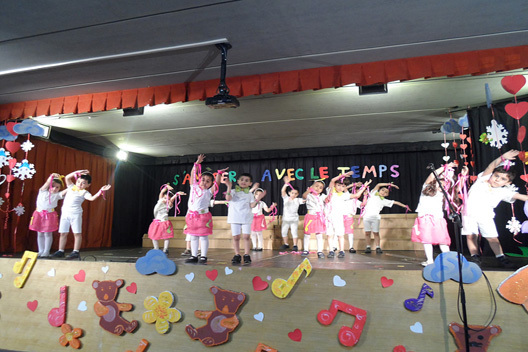 To make this Mother’s Day memorable, Paradis d’Enfants’ preschool children invited their mothers to the school’s theater and offered them a special performance including sweet songs and touching messages. 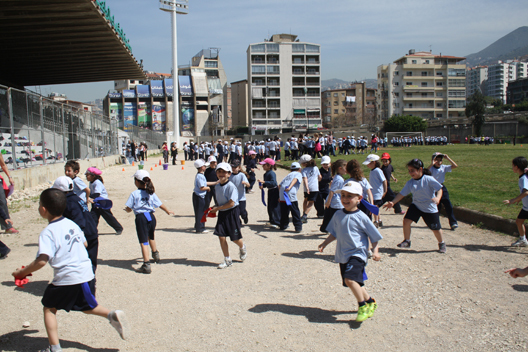 To celebrate Children’s Day, Paradis d’Enfants organized Sports Day at Fouad Chehab stadium in Jounieh on 28 March 2014. 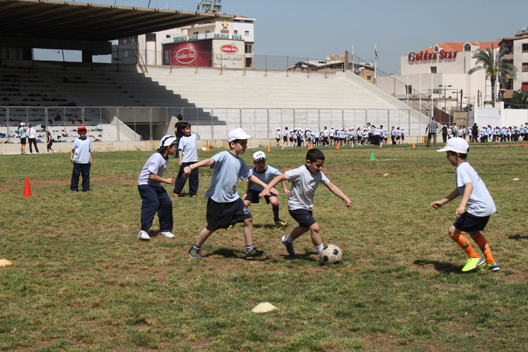 Children were excited and shared great moments of joy, fun and competitions. The champions of the fun-filled day proudly took home medals for their efforts and team spirit! 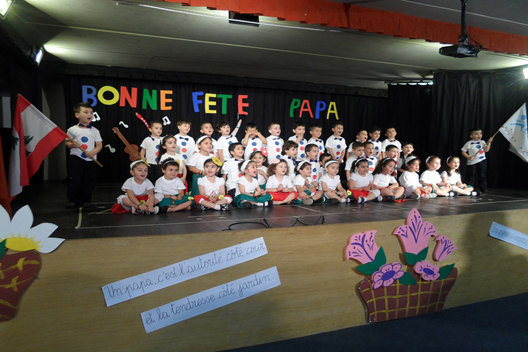 On 19 March 2014, Paradis d’Enfants celebrated Saint Joseph Day, the association’s patron saint. 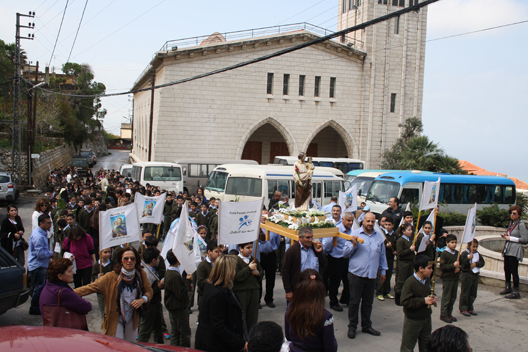 Grade 4 and 5 students and teachers gathered and walked in Ghazir streets, making their way to attend mass and celebrations at Saint Joseph church, Ghazir. 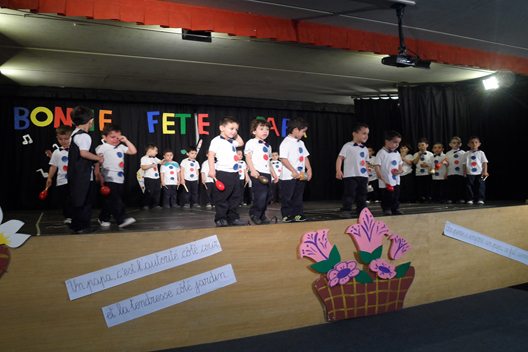 Preschool and Grade1 – 2 students celebrated the day at school with shows and songs. 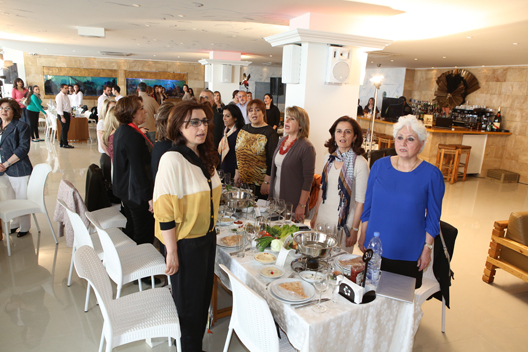 Paradis d’Enfants’ held a lunch on on 8 March 2014 to celebrate Teacher’s Day. 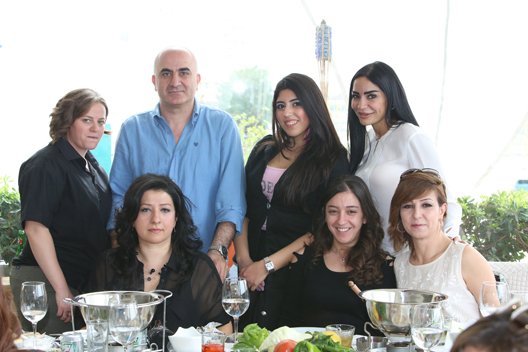 The event, held at ‘Copacabana’ restaurant, lauded teachers for commitment and accomplishments and distributed trophies to those who dedicated over 10 years to the association’s mission. 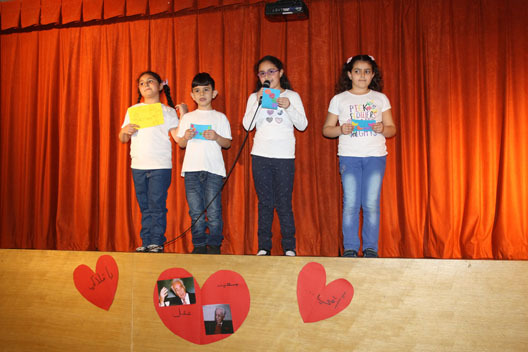 The fun event featured karaoke and a varied entertainment program in a warm and friendly atmosphere. 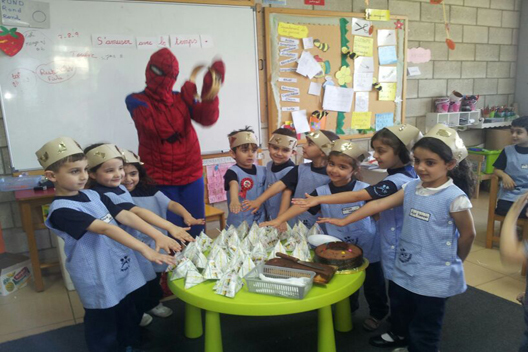 On 4 & 6 February 2014, Paradis d’Enfants’ organized a ‘Popcorn Day’ at its schools in Haret Sakher and Ghadir. 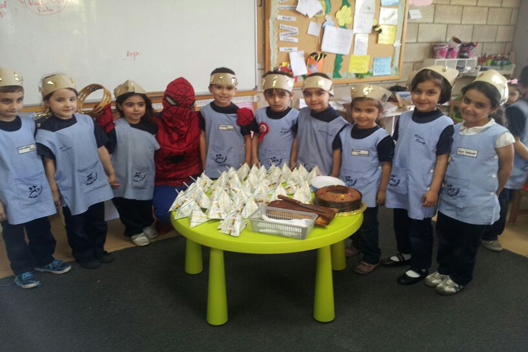 All our students enjoyed snack time! 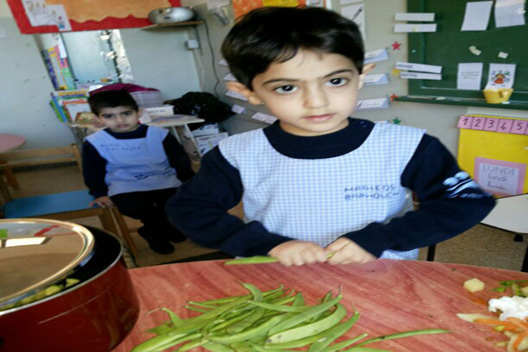 In order to tackle learning difficulties at an early stage, the welfare office organized a conference on 30 January 2014 at PdE Haret Sakher school. 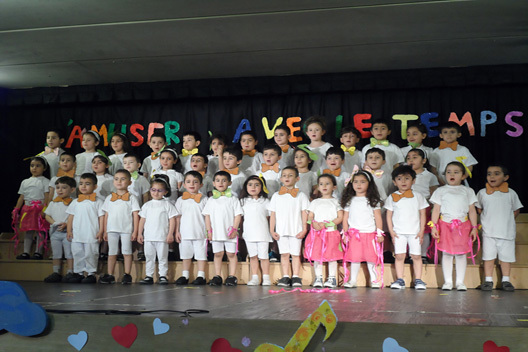 Preschool and Grade 1 student parents attended the conference. The conference aimed to help parents detect any psychological symptoms that can impede a child’s learning abilities, as well as demonstrate the importance of speech therapy monitoring. 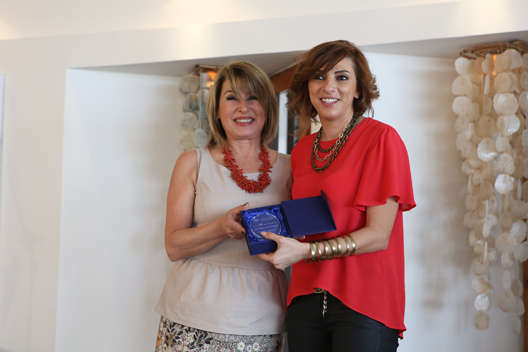 Dr. Michel Nawfal and Maria Jabbour presented parents with common learning concerns from both a psychological and educational perspective. 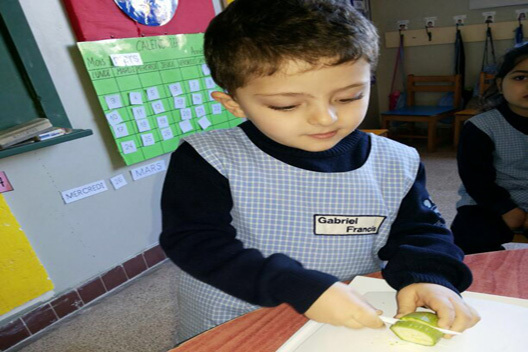 Jessy Khoury followed, highlighting the importance of early intervention in speech therapy.